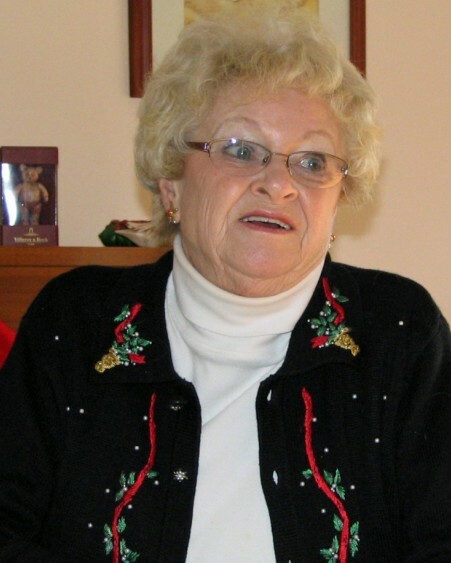 Joan Swett Gay, 86, of Fredericksburg, passed away peacefully with her family at her side on Friday, April 12, 2019. Joan was a feisty New Englander until the end, she fought to live life on her terms for as long as she could. She died with grace and dignity. Joan was free-spirited, and she enjoyed an energetic and adventurous life. She was born in Needham, Mass., to Charles and BerthaLe Swett. Joan shared exploits and milestones while growing up and later in life with her two sisters, Gail and Barbara, and their wonderful families. She graduated from the Boston Museum School of Fine Arts, worked in jewelry design, and created art in a wide range of media throughout her adult life. Joan’s friends introduced her to William Teague “Bill” Gay, Jr., a young engineer from Alabama who’d spent time in the Army and had lived in California, Wyoming, Alaska and New York before moving to Boston. They fell in love and married in 1955 at the First Unitarian Church of Needham. Joan and Bill bought a home in Needham, close to extended family, and raised three children, Christopher, Allison, and Dalton. Joan and Bill eventually settled with their young family in Northern Va. to pursue professional opportunities. She learned to love sports from her father, Charlie, known affectionately as Ole Gop, and Joan enthusiastically coached soccer, managed the local swim team, and partnered with Bill as a fearsome tennis doubles team. Joan was a passionate Virginia Democrat and she was an active supporter of many political candidates through the years. Joan and Bill chose a waterfront retirement spot on the Northern Neck in 1987. Together they designed a stunning home with a huge wrap-around porch that hosted many happy gatherings of friends and family. Joan moved to Fredericksburg after Bill’s untimely death in 1992, where she helped found the Ladies Golf League at Lees Hill Golf Club. Joan was a world traveler and was proud to have visited 28 different countries. She always learned enough of the language to greet local residents, and she made friends everywhere. Joan loved her son-in-law, Bo; her daughter-in-law, Gwen; and her three grandsons, Neil, Jay, and Matthew. She introduced her grandsons to travel through Elderhostel intergenerational trips, and she forged a very strong bond with Jay who now uses her favorite bowling ball every Saturday at Special Olympics bowling. A private celebration of life will be held in Fredericksburg on Thursday, April 18 with a subsequent family ceremony to be held in New England this summer. In lieu of flowers, memorial contributions to support Mary Washington Hospice may be made through the Mary Washington Healthcare Foundation (https://www.marywashingtonhealthcare.com/Foundations/Mary-Washington-Hospital-Foundation.aspx).